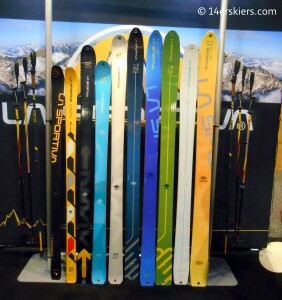 Recently, I had the opportunity to demo a few different carbon or carbon-blend skis made by La Sportiva and Black Diamond. Carbon has always been a light, but somewhat squirrely component to skis. Here’s my take on the models I was able to test. 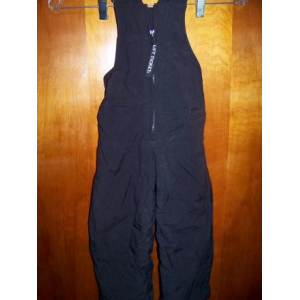 For the sake of comparison, am a 5’3″ skier, weighing 125 lbs. I first tested the Black Diamond Carbon Megawatt in a 178 which has a paulownia wood core layered with pre-preg carbon construction. 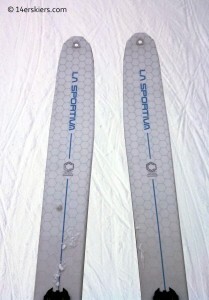 I found this carbon ski to be super responsive and snappy. This carbon ski handled bumps well, although since this model is really designed as a backcountry ski, bump lines are not something that will likely be done often on this ski. With its 120mm waist, rockered tip, and semi-rockered tail, I was surprised at how well this ski held an edge on hard pack.  The tail held with the edge without schmearing out, unless specifically told to do so. The sweet spot on this ski is in the center to back of the foot. This Megawatt drops 240 grams from its previous carbon model, which I believe puts it in the 1550 to 1600 gram range. My only caveat is that in choppy conditions, the Carbon Megawatt deflected a lot. As the chop increased, I needed to drive more into the ski to keep it in line. But, overall, the Carbon Megawatt is a good light fat powder ski to add to your backcountry quiver. This upgraded Megawatt will be available next fall in two different sizes (178 cm and 188 cm) for a $999.95. Next, I tested the La Sportiva Vapor Nano in a 180. 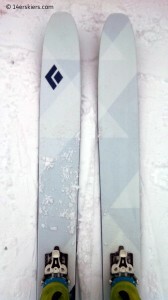 At 1200 grams (180 cm), this ski is extremely light. The core is made from a Kevlar Weave composite and is laminated with pre-preg carbon nanotube construct. La Sportiva boasts that this nanotube construction is unique to this ski and gives the ski more dampness than other carbon skis on the market. The rep demonstrated this to me as the dropped the ski onto the floor and the carbon ski made the same frequency of noise as a damp metal ski. After trying the Vapor Nano, I would definitely say that this ski carries a good deal of dampness compared to other really light carbon skis. The Vapor plowed right through chop with very little deflection. With it’s rockered tip, the Vapor responds easily and the sweet spot is in the center of the foot. However, with it’s well-defined side cut (130-103-120), I was surprised that it didn’t hold an edge better on hard pack. 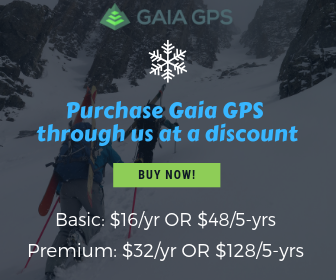 Still, this ski is well-designed solid ski that is great ski for technical descents and big mountain skiing, especially on those long days when you are looking for a light ski that is also a reliable performer. This new Vapor Nano will hit the market next fall in a range of four sizes (164, 172, 180, 188) for $1200. After testing the Vapor Nano, I wanted to compare it with the La Sportiva Hi5, which was one of my favorites from last year’s demo days. The Hi5 continues to be a love of mine and remains one of my top favorites demoed this year as well. At 1780 grams (178 cm)I think this ski is a perfect balance of light weight vs. performance. La Sportiva achieved this with laminated light Karuba Wood core and two separate laminate layers – – one of tri-directional fiberglass, and another of bi-directional carbon. The rockered tip and flat tail make it a great versatile ski in the backcountry. Unlike some carbon counterparts, this ski drives right through chop and does not get easily deflected. It’s playful and responsive, yet can carve with some of the best skis. And you can ski it fast – very fast – without feeling squirrely. The only downfall for some skiers is it’s relatively drastic sidecut (135-105-125, radius 17/23/17), which makes it a tricky ski in breakable crust. 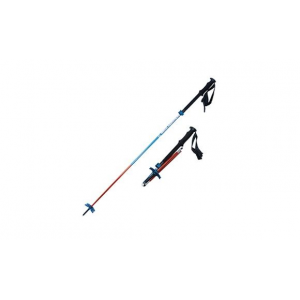 Nevertheless, the Hi5 is a great all-round backcountry ski. 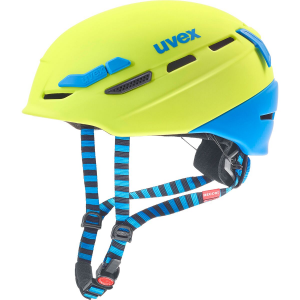 The Hi5 is currently available for $700 in three different lengths (168, 178, 188). Thanks for this post, Brittany! 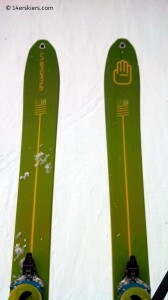 I’m curious, did you ski the Hi5 in a 168 or 178 length? 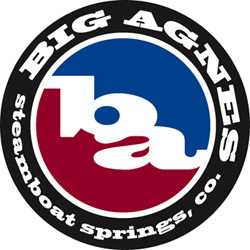 I’m also 5’3″ (tho 135lbs) and am fairly new to skiing (switched from snowboarding). I’ve skied the Voile V6 in a 163 (feels a bit short but not bad), a G3 Carbon Synapse (female version tho same ski) in a 170 (felt really long at first, but got the hang of it after a couple runs), the new Salomon Mtn Explore 96 in a 168 (felt perfect) and the DPS Zelda 106 in a 168 (felt perfect). I’m thinking about going with the 168 in the Hi5, but I’m not sure if the 178 makes more sense given so much tip rocker. Thanks for your help! Hi Lindsey! I tried the 178 cm length and that was perfect for me. But, I have been skiing since I was 4 and tend to gravitate toward larger skis. If you’re new to skiing, then the 168 cm length may be a better fit for you. The best tging to do, is to see if you can demo a pair of each length before trying!